Hyundai has officially revealed the 2013 Hyundai i30 ahead of the Geneva Motor Show which is due in March 2012. The New Hyundai i30 Wagon 2013 model is expected to make an appearance at Geneva in March. 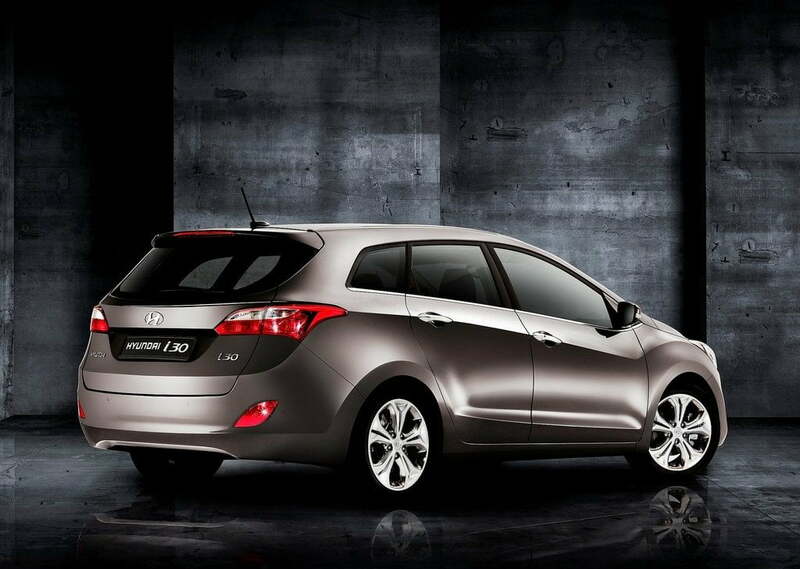 The i30 2013 is a station longer Wagon with overall length of 4485mm which is 185 longer than the 5 door hatch version. The new Hyundai i30 also increases the boot space from 378 litres to 528 liters which is segment leading space for cargo. If the rear seats are folded, the luggage space increases to whooping 1642 litres. The new Hyundai i30 has a hexagonal shaped grille and jewel like headlamps with triangular fog lamp design. The whole body have fluidic sculpture around the sides, bonnet and in profile. The overall visual appeal of the i30 is very dynamic. The roofline slopes rearwards towards the sporty rear spoiler. On the engine front, the Hyundai i30 Wagon will come with three different petrol engine options and three diesel engine options between 90PS to 135 PS power output. The i30 wagon has been revealed for European markets and is unlikely to make it to Indian roads in near future. For more updates sign up for our free email newsletter and like our official Facebook Page. You can also add our Google Plus Page to your circle.